The Si5Pot1-5k accessory contains one linear tapered, 1-turn, 5kW potentiometer, and with 12” long connecting wires (pigtail). 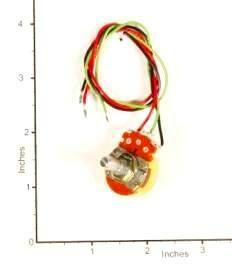 This accessory is used with all Signal Hybrid Single Controller Boards for temperature or motor-speed settings. Si5Pot1-5k , One 5kW Potentiometer with 12" leads.